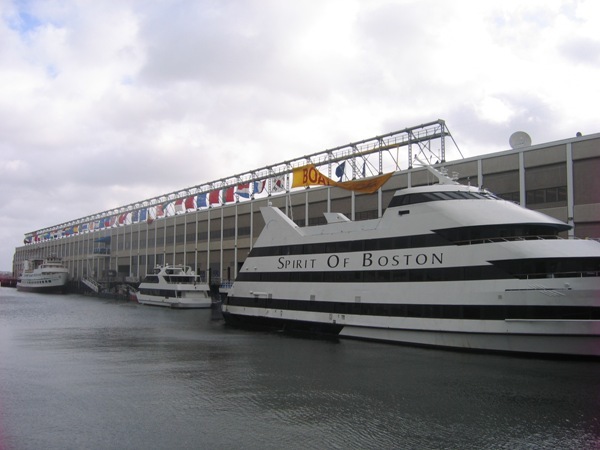 We went to the Boston Boat Show at the beginning of this month to talk boat names with New England boaters. 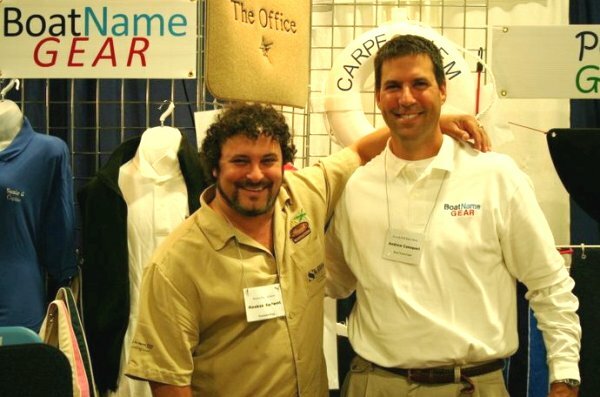 We were exhibiting products from BoatNameGear.com and meeting hundreds of great people. We even got interviewed by Captain Lou of Nautical Talk Radio! This is the first view most folks saw when approaching the boat show. 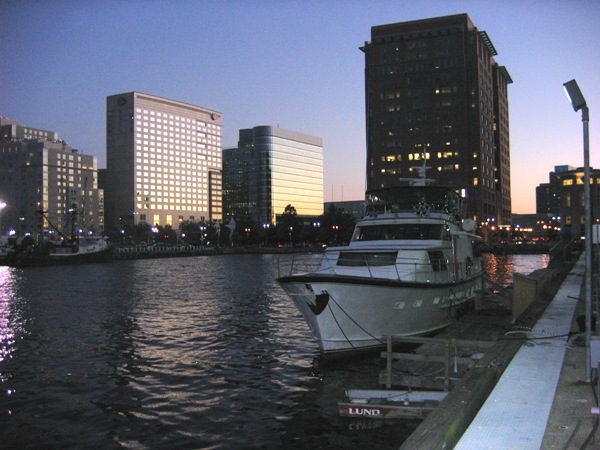 From the other side of the Seaport World Trade Center as the sun was going down. Inside the show, this wooden beauty from Russo Marine turned a lot of heads. With the Nantucket Bagg guy from the booth next door (Photo: Robin Coles/TheNauticalLifestyle.com). 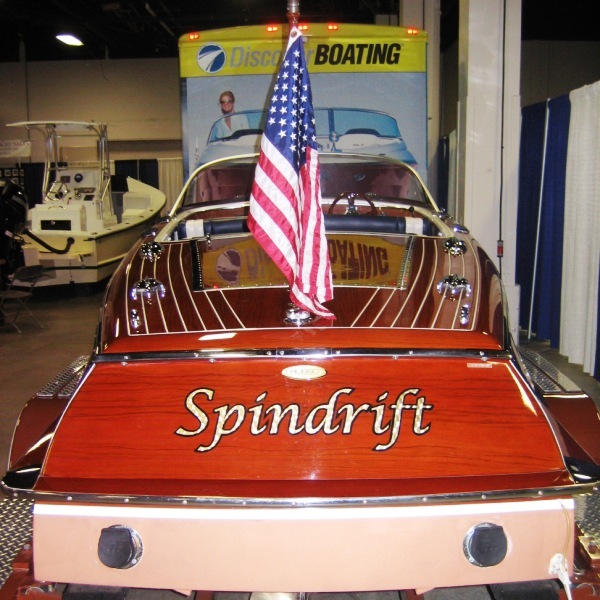 One of our first custom orders at the show was for the owners of a boat named C-Passion.